On the island of Wayo Wayo, every second son must leave on the day he turns fifteen as a sacrifice to the Sea God. Atile’i however is determined to defy destiny and become the first to survive. Across the sea, Alice Shih’s life is interrupted when a vast trash vortex comes crashing onto the shore of Taiwan, bringing Atile’i with it. WU MING-YI is a Taiwanese writer, painter, designer, photographer, literary professor, butterfly scholar, environmental activist, traveller and blogger. He is the author of the novel Routes in the Dream (2007), as well as a number of non-fiction books and short story collections. 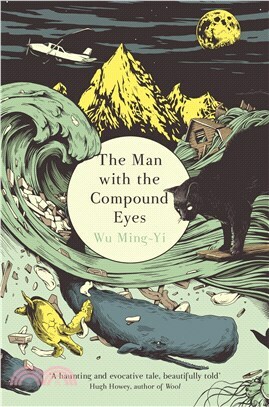 The Man with the Compound Eyes is his first novel to be translated into English. DARRYL STERK has translated numerous short stories from Taiwan for The Chinese Pen Quarterly, and now teaches translation in the Graduate Program in Translation and Interpretation at National Taiwan University.